Churches, synagogues, mosques and other religious congregations aren’t required to file tax returns, so they might not regularly hire independent accountants. But regardless of size, religious organizations often are subject to other requirements, such as paying unrelated business income tax (UBIT) and properly classifying employees. Without the oversight of tax authorities or outside accountants, religious leaders may not be aware of all requirements to which they’re subject. This can leave their organizations vulnerable to fraud and its trustees and employees subject to liabilities. Clergy wages. Most clergy should be treated as employees and receive W-2 forms. Typically, they’re exempt from Social Security taxes, Medicare taxes and federal withholding but are subject to self-employment tax on wages. A parsonage (or rental) allowance can reduce income tax, but not self-employment tax. UBIT. If your organization regularly engages in any type of business activity that’s unrelated to its religious mission, be aware of certain tax and reporting rules. Income from such activities could be subject to UBIT. Lobbying. Your organization shouldn’t devote a substantial part of its activities in attempting to influence legislation. Otherwise you might risk your tax-exempt status and face potential penalties. To ensure employees and volunteers can’t help themselves to collections, require that at least two people handle all contributions. They should count cash in a secure area and verify the contents of offering envelopes. Next, they should document their collection activity in a signed report. For greater security, encourage your members to make electronic payments on your website or sign up for automatic bank account deductions. 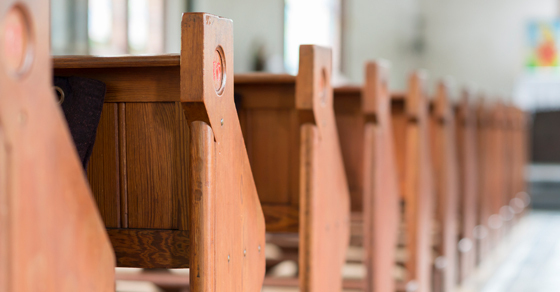 Although your congregation is subject to less IRS scrutiny than even your fellow nonprofit organizations, that doesn’t mean you can afford to ignore financial best practices. Contact us for help.